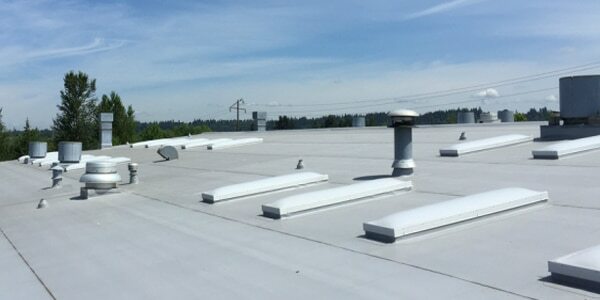 When it comes to commercial & industrial roofing, there is a variety of different materials and techniques for your installation. If your office, retail center, or other spaces have leaks, you need a commercial roofing company that repairs it all. 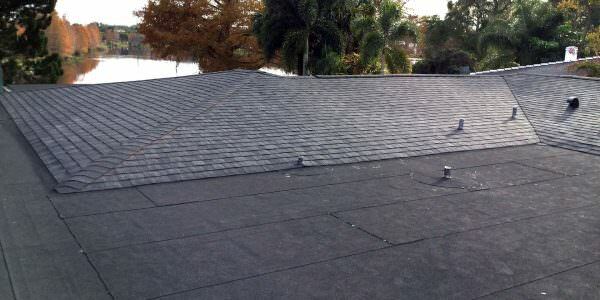 As a local South Florida business owner, you must take your roofing maintenance needs seriously or else face significant costs. And the best way to prevent more concerns from forming is with a better source for commercial roof repair services. At Tornado Roofing, we continue to offer the highest quality of care for full commercial roofing needs throughout the region. Whether you’re searching for repairs, installations, replacement services, or commercial roof maintenance, we offer it all for less every day. You can count on our contractors for any questions or concerns about building materials, and we always guarantee the results you need. See why more area business owners continue to rely on our team for complete commercial roofing repair, residential roofing repairs and more. One reason why it is difficult to find the right commercial roofing company is that you need someone who offers complete repairs. When you have a system that a provider is unfamiliar with or they’ve never attempted repairs on it before, it creates more issues. Instead, you can rely on our experienced service technicians to build, repair, or maintain any materials, systems, and roofing styles. From flat surfaces to architectural slopes, metal panels and more, we handle it all for less each time you call. And more professional contractor services. From swapping out your old, worn-out roofing systems to getting the most out of your existing ones, choose us. We guarantee the best results possible at affordable professional pricing. We keep more businesses looking their best throughout the entire year. 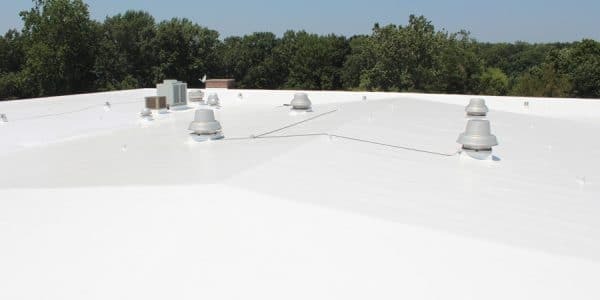 For superior moisture protection, commercial flat roofs rely on thick rubber membranes that installers roll onto the surface and then heat. Once they are in place, technicians seal the seams together to create a long-lasting shield against moisture intrusion concerns. However, most business owners forget that even their advanced roofing systems require professional care and maintenance services eventually for protection. Otherwise, you could have rain trickling inside your building for weeks and not realize it until you see discolored ceilings. No matter which roofing materials you rely on for your commercial property, our staff provides services for them all every day. 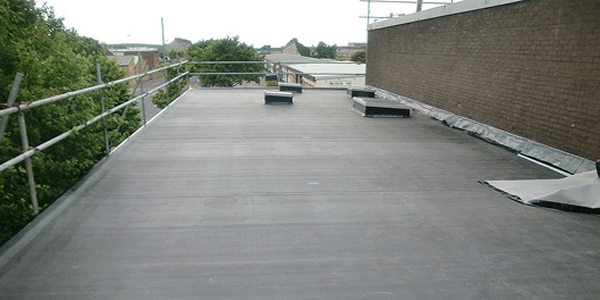 Contact us today for your company’s flat roof needs. Give your office the attention it deserves now. When commercial spaces depend on sloped roofing systems, they require precise measurements for proper water runoff each time it rains. Otherwise, you will see that the water pools, creating weakened surfaces and intrusion issues before too long. At Tornado Roofing, we always know how to keep your sloped systems performing at their best without risking leaks. We find, repair, and maintain more commercial roofs every day, making our team your trusted choice for better contractor services. Whether you are now experiencing problems, or you need repairs on old leaks, you can still count on us for help. See why we continue to help more area business owners with their roofing concerns at a fair price every day. Built-up roofs used for commercial buildings have seen relatively the same building process for the better part of a century. Our contractor’s carefully alternate layers of hot asphalt with durable roofing felts for extensive protection from daily moisture concerns. These systems require an experienced contractor to get them right, and the asphalt remains dangerous to work with on every job. However, when you rely on us for your built-up roofing installation, repairs, and maintenance, we always get the best results. Contact us when your building needs help in maintaining its ideal level of defense throughout each season of the year. No one else helps you and your business with more common repair needs and advanced care options than we do. Spray polyurethane foam roofing remains a unique installation process where technicians apply a liquified chemical product directly to the surface. Once the product lands, it immediately expands into a foam. It then hardens into a durable seal as a unified roof. However, if the installation team misses even an inch, it could quickly cause your commercial building to leak shortly after. That is why more area business owners continue to turn to our contractors for better spray foam applications for roofing. 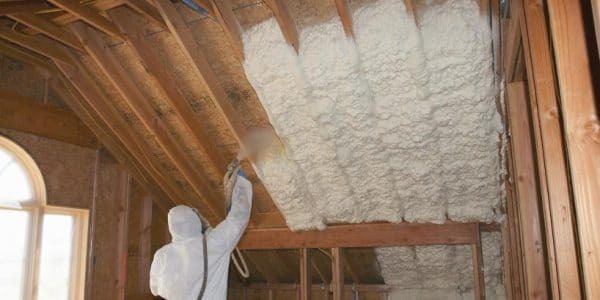 Similar to the product that contractors use to install spray foam insulation, this material relies on a two-part chemical for advanced moisture protection properties. Best of all, granules can get added to the foam to improve the appearance or performance of your newly installed systems. Although traditional asphalt shingles are durable enough for residential buildings, they often don’t provide enough lasting safety for commercial spaces. Modified bitumen uses a specialized blend of materials that add more elasticity and moisture protection compared to shingles or tar. You likely see these roofing systems on schools, medical offices, and other business, but they can work virtually anywhere. When your company needs a new roof, repairs, or maintenance, our team provides the best services for modified bitumen surfaces. MB roofing systems remain popular for their affordable price tag and ease of repair and maintenance for long-lasting, durable surfaces. Make sure your existing roof receives the best in local installation and care services and choose our repair contractors today. While many buildings use several layers of built-up materials for protection, sometimes that isn’t the ideal system for your company. The more construction materials you apply to the top of your building, the heavier it becomes, creating more long-term challenges. 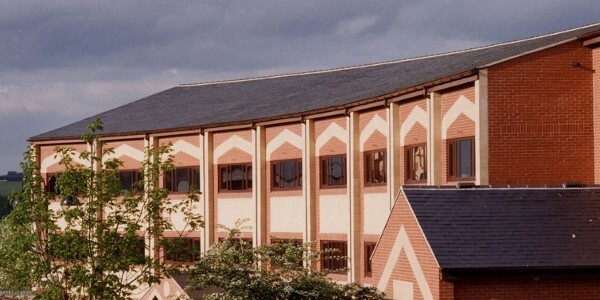 These systems involve sheets of synthetic materials that use both thermoplastics and rubberized surfaces to create a waterproofed commercial building. Not only will these products protect you against wind, rain, hail, and more, but they stay resistant to fire and chemicals. No matter what areas of concern you have for your office space, we can help keep your roof safe and functional daily. For your best selection of installation, repairs, and maintenance services for single ply roofs, you can always count on us. We understand that you have choices for local roofing repair contractors, so why should you choose our team for service? As your trusted source for complete roof repair and installation solutions, we continue to save you more on better results. Our staff knows how to install or replace any materials or systems that you currently use, keeping your buildings safer. We guarantee that nothing will get past our completed roofing systems, making sure you and your staff stay dry inside. Contact us today at Tornado Roofing and experience the best in local roofing repair services at lower costs.